Cooper City is found in Florida's Broward County and has a population of about 35,000 residents. It's a part of the South Florida Metro area, which provides a home for over 5.5 million residents. Even though Cooper City was rated at one of the top 10 towns for families by Family Circle, it's surrounded by interstates found just outside the city. It's also a part of a larger area visited by many tourists every year, which brings all kinds of unique driving styles to the area. With the regular population of the South Florida Metro area and the additional tourists, the roadways tend to become very congested. This can make it a dangerous area of Florida for driving. Cooper City is found in the middle of four stretches of Interstate all found just outside the city including I-595, I-75 (running east/west), I-75 (running north/south) and I-95. The stretch of I-75 and I-95 found in Florida are both very high on the list of deadly United States highways. Cooper City sees a handful of fatal car accidents every year with many others found throughout Broward County. Broward County has an average of about 26,000 auto accidents every year with 1,700 alcohol related accidents and about 200 fatalities from those accidents. Many of the auto accidents in Broward County result in injuries. Traffic accidents are on the rise throughout the South Florida Metro area. If law enforcement officials didn't monitor traffic and issue citations, these statistics would be much worse. Nearly 195,500 traffic citations were issued in Broward County in 2015. While 38% of these tickets were dismissed, many were paid by drivers in the area. Nearly 96,000 of the tickets were issues for speeding with another 18,498 issued for careless driving. These tickets help to keep the roads safe and poor drivers from continuing to break the traffic laws. After accumulating 12 or more points on your driver's license, you may lose it for a period of time. With 12 points in a one-year period, you will have your license suspended for 30 days. If your point total ends up at 18 or more over 18 months, you will lose your license for 90 days. Rack up 24 points in 3 years and you will lose your driver's license for an entire year. Could you imagine finding a ride for an entire year? 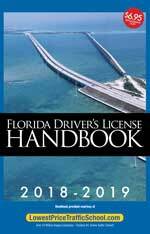 You may not think it's a big deal, but if you get caught driving with a suspended license in Cooper City, Florida, you may face up to 90 days in jail and fines up to $500. This doesn't include the money you will pay for the tickets and reinstatement fees. It doesn't take many tickets to start racking up points in a hurry. However, you can use traffic school online to avoid points on your license and keep your driving privileges from being suspended. If you want to keep your insurance rates from going up and points off your license, you can take a basic driver improvement course, also known as traffic school. This course is offered right online and you can take it at your convenience from the comfort of your home. Start by pleading guilty or no contest to your violation and paying the fine. Let the clerk of the court know you plan on taking traffic school online. Then, enroll in the basic driver improvement course online and complete the course. Once you successful complete the course, you will be issued a certificate of completion. Just return this certificate to the clerk of the court and you're all set. If you meet these two requirements, you will be able to enroll and complete the course to avoid points being added to your Florida driver's license. When any law enforcement agency issues a traffic citation in Cooper City, Florida, it's handled by the Broward County Clerk of the Court. The clerk will take your payment and provide any necessary information about the ticket. 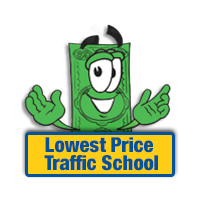 You will also need to inform the clerk if you wish to take traffic school online after paying your ticket. You can learn more about the Broward County Clerk of the Court by visiting the website.